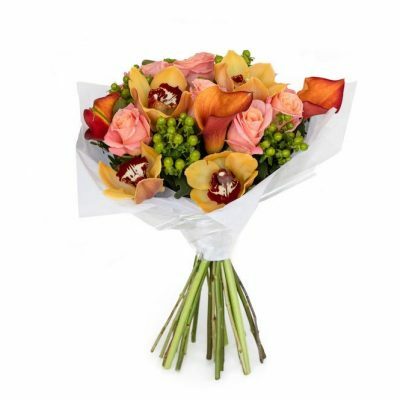 Bright and cheery, a perfect pick me up or thank you gift, these yellow bouquets are filled with some of our brightest delights. 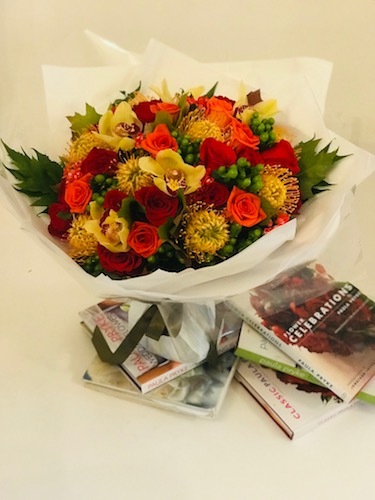 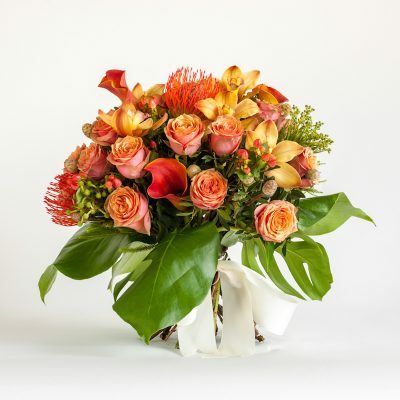 The Clarice Bouquet is a joyous arrangement filled with roses, orchids, cymbidium heads and hypericum berries. 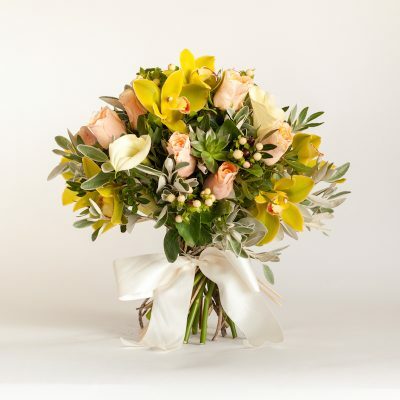 The yellow bouquet never fails to lift spirits so makes a wonderful ‘pick me up’ gift or treat for your own table. 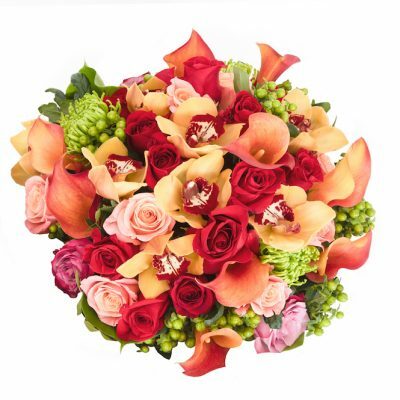 includes: Orchids, Roses, Yellow Berries Finish greenery.